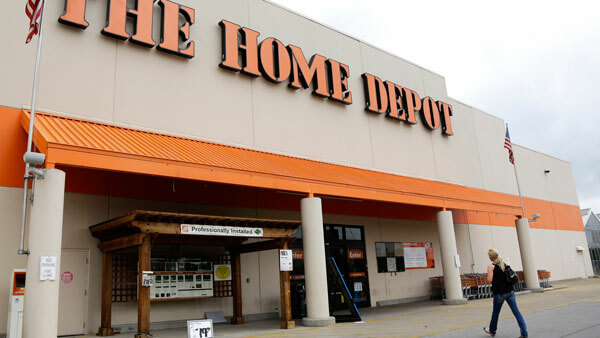 Home Depot has announced numerous recalls on items that have been previously recalled, but continued to be sold in stores. The U.S. Consumer Product Safety Commission (CPSC) and Home Depot made the announcement Wednesday. The recall involves 28 items that were recalled between 2012 and 2015. It involves about 2,310 units of recalled products, including about 1,300 sold by Home Depot to consumers and 1,010 sent by Home Depot to salvagers or recyclers who could have sold them to consumers. The CPSC says consumers should stop using the recalled products immediately and contact the recalling firms to receive the remedies listed in the recall, which is either a refund, replacement or repair. Hazard: The riser cable does not meet fire resistance standards for riser cable, posing a fire hazard. Contact: Home Depot at 800-394-7519 from 8 a.m. to 5 p.m. ET Monday through Friday or online at www.homedepot.com and click on Product Recalls for more information. Hazard: The lamp sockets can allow loose connections, posing a risk of an electrical arc and fire. Contact: Cordelia Lighting at 800-345-0542, extension 3001, from 8 a.m. to 5 p.m. PT Monday through Friday. Hazard: The top step/standing platform can break, posing a fall hazard to consumers. Contact: Tricam Industries toll-free at 855-336-0360 from 8 a.m. to 5 p.m. CT Monday through Friday, or www.gorillaladders.net, then click on Recall for more information. Hazard: The lopper handles can break when attempting to cut branches, posing a risk of serious injury and laceration. Contact: Fiskars toll-free at 855-544-0151 anytime or visit Fiskars' website at http://www.fiskars.com and click on "Product Notifications" for more information. Contact: Genie toll-free at (800) 488-9918 from 8 a.m. to 5 p.m. ET Monday through Friday or online at www.geniecompany.com and click on "Recall Information" for more information. Contact: Harris Products Group at 800-447-6906 from 8 a.m. to 5 p.m. ET Monday through Friday or online at www.harrisproductsgroup.com and click on Recall for more information. Hazard: The internal fixture wiring can energize the entire surface and fittings of the fixture, posing an electrical shock hazard. Contact: HeathCo toll-free 855-704-5438 from 8 a.m. to 5 p.m. CT Monday through Friday, emailhzproductnotice@heathcollc.com or online at www.heath-zenith.com and click on Recall Announcements at the bottom of the page for more information. Hazard: Objects that are drawn into the unit during vacuum mode can break through the plastic housing, posing a laceration hazard. Contact: Homelite Consumer Products at 800-597-9624 from 8 a.m. to 5 p.m. ET Monday through Friday, or online at www.homelite.com and click on Safety Notices for more information. Hazard: The blower vacuum can overheat, spark and catch on fire, posing fire and burn hazards. Contact: Kidde toll-free at 855-283-7991 from 8 a.m. to 5 p.m. ET Monday through Friday, or online at www.kidde.com and click on Safety Notice for more information. Hazard: The alarms could fail to alert consumers of a fire or a CO incident following a power outage. Contact: Kidde toll-free at 844-553-9011 from 8 a.m. to 5 p.m. ET Monday through Friday or online at www.kidde.com and click on Recalls for more information. Contact: Legrand Wiremold toll-free at 800-617-1768 between 8 a.m. to 5 p.m. ET Monday through Friday, or at http://www.legrand.us/product-recalls.aspx for more information. Contact: Legrand Wiremold toll-free at (855) 692-4620 from 8 a.m. to 5 p.m. ET Monday through Friday, or at http://www.legrand.us/product-recalls.aspx for more information. Contact: LG toll-free at (855) 400-4638, from 8 a.m. to 7 p.m. CT Monday through Friday, and from 8 a.m. to 2 p.m. Saturday, or www.lg.com/us and click on Public Notices for more information. Contact: Lithonia Lighting toll-free at 888-615-4501 from 8 a.m. to 5 p.m. ET Monday through Friday or online at www.lithonia.com and click on "Quantum ELM/ELM2 Recall Information" on the bottom of the page for more information. Hazard: The large rugs fail to meet federal standards for flammability and could ignite, posing fire and burn hazards to consumers. The small rugs fail to meet federal labeling requirements. Remedy: Refund for large rugs or warning label to be affixed to the underside of the small rugs. Contact: Mohawk toll-free at 877-737-8343 from 8 a.m. to 5 p.m. Monday through Friday, or online at www.mohawkflooring.com and click on "Safety Recall" in the "Customer Care" section at the bottom of the page. Contact: Nest Labs at 800-249-4280 anytime or online at www.nest.com and click on Nest Protect Safety Notice for more information. Hazard: The rugs fail to meet federal flammability standards, posing a fire hazard to consumers. Contact: Nourison at 800-223-1110 ext. 2358 from 9:30 a.m. to 4:30 p.m. ET Monday through Friday or online at www.nourison.com, then click on Recall Information at the bottom of the page for more information. Contact: Pramac America LLC at 800-445-1805 from 7 a.m. to 5 p.m. CT Monday through Friday orwww.powermate.com and click on the Generator tab and then the Expert Advice followed by the Service Notification link for more information. Contact: Home Depot toll-free at 877-527-0313 between 8 a.m. and 5 p.m. ET any day, or online at www.homedepot.com and click on Product Recalls for more information. Hazard: The heater can overheat and cause the units to melt, catch fire and ignite nearby items, posing a fire and burn hazard to consumers. Contact: Vornado toll-free at 844-205-7978 from 8 a.m. to 5 p.m. CT Monday through Friday or online atwww.vornado.com and click on the recall graphic in the lower right corner of the homepage for more information. Hazard: The mounted bike hooks can unexpectedly detach, allowing the bike to fall. This poses a risk of injury to bystanders. Contact: Waterloo Industries at 800-833-8851 from 8 a.m. to 5 p.m. ET Monday through Friday, or online atwww.homedepot.com and click on "product recalls" for more information. Hazard: The pull chain switch on the glass shade holder is incorrectly wired, posing a shock hazard to the consumer. Contact: Westinghouse Lighting toll-free at 888-417-6222 from 8:30 a.m. to 5 p.m. ET Monday through Friday, or online at www.westinghouselighting.com and click on the safety notice at the top of the page for more information. Hazard: When extended, the inner side rails can separate from the outer side rails causing the user to fall. Contact: Wing Enterprises Inc. toll-free at 855-595-3378 from 8 a.m. to 5 p.m. MT Monday through Friday, or online at www.littlegiantladders.com/switch-it-recall for more information.